Mariama Onitiri is a Senegalese/Guinean/ French luxury wear designer who has lived in France, England, America, Mozambique and Singapore over the past 28 years. After studying finance in New York and working several years in the Banking sector she was irresistibly attracted to the world of fashion and interior design. She has studied interior architecture at the Chelsea School of Interior Design in London and has taken online courses in interior decoration as well as courses in fashion design at FIT (Fashion Institute of Technology) New York. Mariama began her career as a fashion and interior designer in Washington DC, in 2005, and has showcased her collections in different cities in the US and in several fashion shows in Mozambique and Singapore. 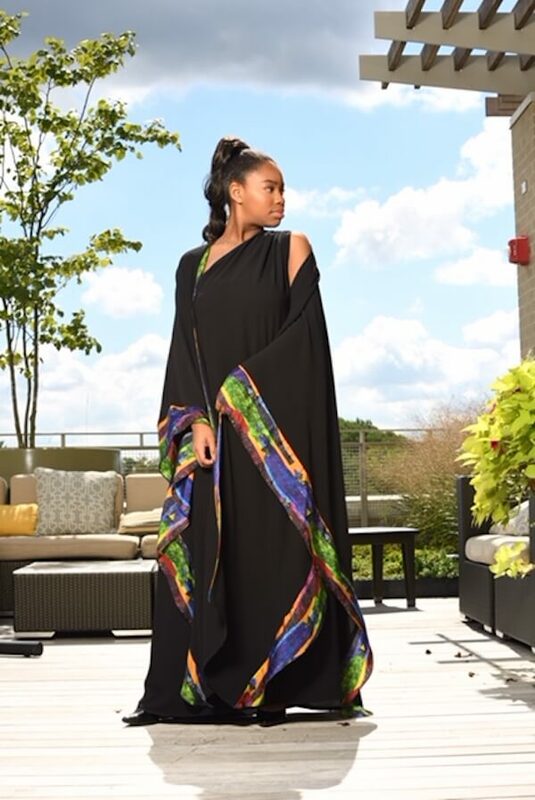 Her designs incorporate tastes of her travels in over twenty countries in Africa, Asia, Europe and the Middle East over the past decade. 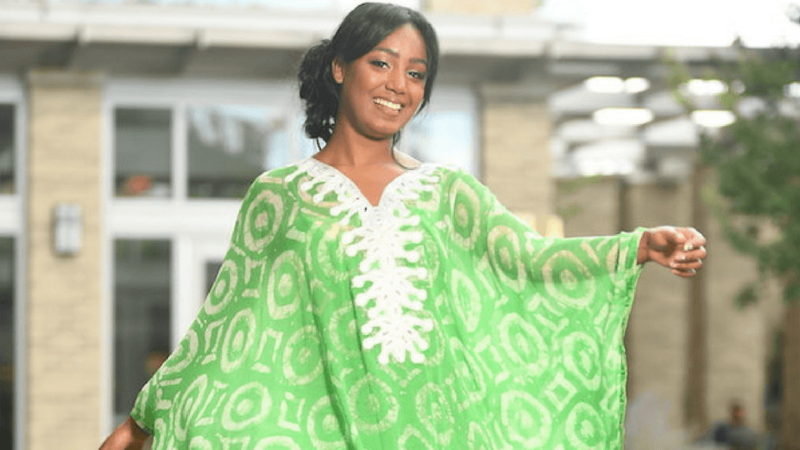 Mariama works mainly with silk, including her own printed designs, hand woven fabrics, as well as tie- dye cotton, and recycled materials such as tires. Her mission as a Designer is to celebrate this sublime creation that is the human body and to highlight the beauty of the metissage (marriage) of rich and diverse cultures. 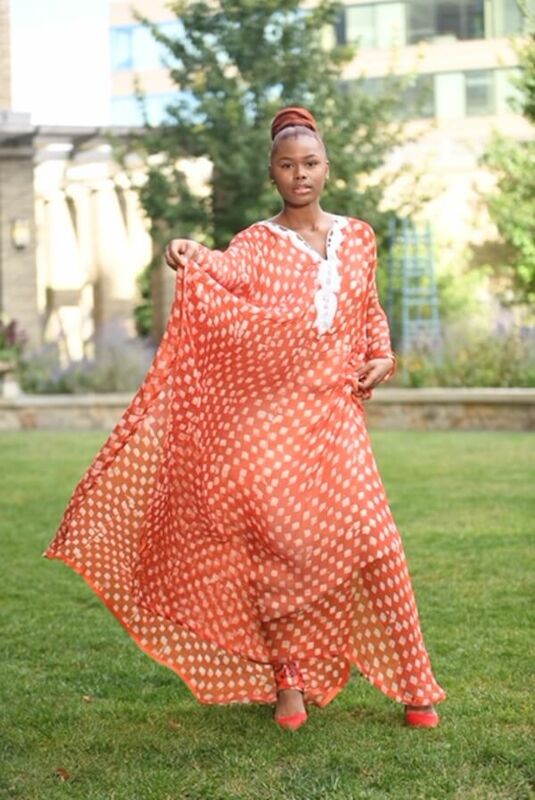 Check out Lady Mariama’s Website and follow them on Facebook and Instagram.